Empower your business with the results-driven All In One Odoo Enterprise Resource Planning (ERP) software to manage your organization. Whether your business is small, medium, or large, and even if your business processes and workflows are complex, Odoo is a powerful and cost-effective solution. Odoo is a leading worldwide open-source ERP Platform which empowers businesses & enterprises to scale up their business systems with robust business applications. Due to the highly advanced features and customization options that Odoo offers, Odoo is in quickly becoming the GO-TO platform in the United States and globally. Odoo streamlines organization's key business functions like accounting, finance, human resource, procurement, payroll and much more. 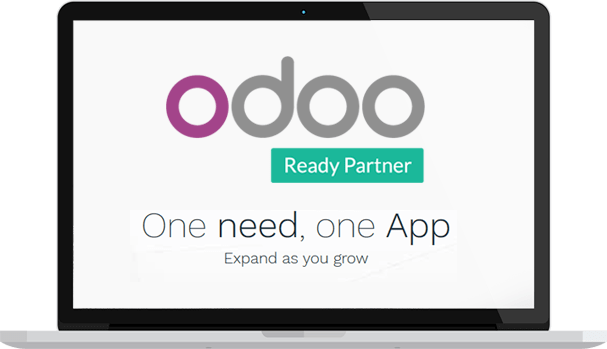 As an Odoo business partner and systems integrator, One Team offers implementation, customization, development, consultancy, and business process improvement. We are helping to solve real business problems with our team of experienced software and business experts. Odoo is an open-source ERP Platform, which empowers businesses & enterprises to scale up their business functions with robust business applications. Odoo business suite now comes with a CMS & website builder tool which enables us to create beautiful custom ecommerce websites that are functional and completely SEO friendly. Odoo sales solutions provides you with an all-in-one platform where you can cover each aspect of your sales funnel from proposal, sending quotations to contract management with eSignature. Organize, schedule, plan & analyse your day-to-day operations by harnessing the power of visual information provided in an agile & mordern interface by odoo operations solutions. Implement a collection of modules, sleeved with the clean deployment of Odoo. We are exports at integrating Odoo as a complete solution or integrating with your current systems. One Team US designers create and customize beautiful and attention-grabbing themes. We even build custom Odoo Apps which keeps clients an inclusive tech eco-system. We’ll do a deep-dive and customize Odoo and the Odoo modules around your needs and business processes. We can help you convert to Odoo from home-grown ERP systems and from NetSuite, Dynamics, Oracle, Infor, among others. We keep our clients up-to-date on current versions with ongoing support services. Get complete support solutions from us. We are here to help you from start to finish with available 24/7 support. Each project starts with understanding the Technical and Business requirements and aligning them with the ultimate goals of the organization. We create Robust, Reliable and Innovative Solutions. Our talented designers and User Experience specialists create class leading designs. Taking it to the market to open up your sales channels! Our QA and Testing specializes test our solutions in real-world scenarios to provide a smooth, trouble-free user experience. Define and kick off your project flawlessly to align with your vision. Robust, reliable and innovative, prolific products. Extensive research of target market helps to create an impressive design. Rigorous testing in real-world scenarios to sniff out and correct any technical flaws. A big advantage of Odoo that you don’t get from SAP, Oracle, MS Dynamics, or any other is that Odoo is the one major ERP system that is OpenSource. With more than 3,000,000 users and growing, Odoo is poised to be a world leader. With that in mind, One Team US has built their ERP practice with Odoo in mind. We can help you with Odoo solutions architecture, configuration, customization, and implementation. We will work with you to help you get the most out of the system while we optimize to work with your own workflows. Afterall, each company has different workflows, and Odoo allows you the freedom to customize the system to match your organizations’ workflow. One Team US is used to rescuing Odoo projects. Whether a company has self-implemented their Odoo system or their original Odoo developer was unable to complete the project, we can help you get the project completed. One Team US has a dedicated and highly experienced team of professionals who are skilled in the development and implementation of Odoo and ERP Systems. We offer tailor-made Odoo Consulting and Integration services which will automate key business functions such as Accounting, Sales, Financial Management, Asset Management, Payroll, CRM, Human Resources, Procurement and Project Management to suit every business or corporation. Odoo is an effective ERP system which fits small, medium and large organizations. Odoo is a powerful alternative to Microsoft Dynamics, SAP, Oracle, and many other systems. Some of the advantages include that this powerful and flexible ERP system can be implemented quickly, less expensively, and the lifetime costs are substantially less, too. Additionally, because of its’ OpenSource architecture, Odoo allows companies to configure the system as they need.